What is the future for apprentices? Countless businesses throughout the North West choose to hire apprentices, thanks to the fact they provide workforces with young talent. Apprentices are eager to learn and there are many accounts of them going above and beyond while working for companies across the region. However, not all companies are aware of the excellent work that apprentices can do, and others would probably never consider hiring apprentices over graduates. In our latest report, we have researched and quantified the major benefits to hiring apprentices, and over 30 businesses have assisted in providing detailed explanations of why apprentices are so beneficial. Along with this, the companies that have provided information have shared enlightening stories detailing apprentices that have surprised their employers on a daily basis. 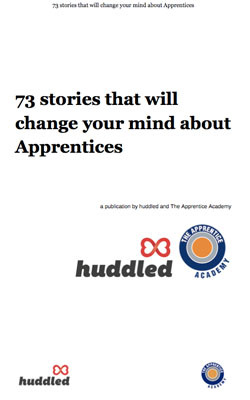 See what you think about apprentices and whether or not our insights could change your mind about them with our report.